Sylvia Valentine is an experienced family history researcher and has been researching her family tree for more than 40 years. After retiring from a career in the not-for-profit sector, she enrolled as a Masters Distance Learning student in Family and Local History with the Centre for Archive and Information Studies at Dundee, graduating with an MLitt in 2016. Her particular areas of interest of are the records created by the introduction of the New Poor Law from 1834, including the records relating to compulsory small pox vaccination. 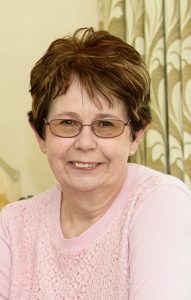 She has presented at numerous family history societies in the UK and spoken at national events in the USA and Canada in addition to the UK. Sylvia is now a PhD candidate at the University of Dundee and she is researching Opposition to Compulsory Vaccination in Scotland 1864 – 1914.